In 1885, the London Times ran a series of editorials honoring the 100th birthday of Sir Moses Montefiore, the British financier and philanthropist knighted by Queen Victoria. The editorials commented on his honesty, his generosity, and his willingness to come to the aid of anyone in need. One story was particularly telling. Someone once asked Sir Moses, one of the wealthiest men of his era, how much he was worth. In the face of such an ill-mannered inquiry, he merely paused for a moment's reflection before naming a figure – one that fell far short of his questioner's expectations. Naturally, it was met with an objection; surely he must be worth 10 times as much! Sir Moses merely smiled. "Young man," he replied, "you didn't ask me how much I own. You asked me how much I am worth. So I calculated how much I have given to charity this year, and that is the number I gave you. You see, in life we are worth only what we are willing to share with others." When we calculate our own worth, do we think about it in terms of what we have, or how we use it? When we say that all human beings are of equal worth, do our actions follow our words? I believe that being a Rotarian means looking at all of our resources differently. What is the most good that we could choose to do with what we have? What are the choices that will ultimately leave us the richest? In Rotary, we are all aware of the great needs in so many parts of our world. And we all know how much we can do to help through our Rotary Foundation. We can change lives, we can restore hope, we can build futures – if we choose to. In life, everything is a choice. We can choose to close our eyes to the needs of others, to keep what we have for ourselves, to declare the problems of others to be theirs alone. Or we can choose to look past distance, past color, past language and dress and culture, and see that people everywhere are just like us – and then refuse to walk away! November is Rotary Foundation Month, and I hope you'll focus on the Foundation with your club speakers and programs. How can our newer Rotarians understand the Foundation if we do not tell them what it is and what it does? Is there an Ambassadorial Scholar in our district? What is this Future Vision Plan, and what does it mean for our club? What do we need to know about polio eradication, other than that it makes us feel good? What is the difference between Group Study Exchange and vocational training teams? I hear the words Every Rotarian, Every Year. What is that about? How can The Rotary Foundation support our club's desire to help people outside our community? What are Rotarians doing on issues such as HIV/AIDS and water and sanitation? Nobody in my club reads the Foundation annual report. Where does the money go? What is our relationship with the Bill & Melinda Gates Foundation? The list of questions could go on, but the real question is, "What is our club doing to learn more about our Rotary Foundation?" If the answer is "not enough," now might be a very good time to start. The Trustees of The Rotary Foundation of Rotary International met from 19-23 September 2011 in Evanston, Illinois, USA. The following are highlights of actions taken. The Trustees elected Trustee Dong Kurn Lee to serve as chairman-elect and Trustee Stephen R. Brown as vice-chairman during 2012-13. The Trustees agreed to offer donors the ability to designate Annual Programs Fund contributions to any of the six areas of focus, effective October 2011. Such contributions will qualify for the same donor recognition as gifts such as Every Rotarian, Every Year; Rotary Foundation Sustaining Member; Paul Harris Fellow; Major Donor and Arch C. Klumph Society, and will be included in club and district goal and per capita calculations. * Recognizing that Rotarians wish to immediately come to the aid of communities impacted by disasters, agreed to accept restricted contributions and District Designated Fund donations for special accounts that will be forwarded to a committee of Rotarians to carry out disaster recovery and relief projects identified locally. Donors will have the ability to make online contributions for more than one disaster fund at any given time. * Approved a strategic partnership with UNESCO-IHE and agreed that Future Vision pilot clubs may use packaged global grants with UNESCO-IHE beginning 1 July 2012. * Approved PolioPlus Grants for Afghanistan, Angola, Chad, DR Congo, India, Kenya, Nigeria, Pakistan, Sudan, Uganda, West Africa, and WHO/CORE. * Increased the 2011-12 PolioPlus Program Awards budget from US$63,510,625 to US$95,440,625. * Looked with favor on the tentative draft program for the 2012 and 2013 Rotary alumni events in Bangkok, Thailand and Lisbon, Portugal. * Agreed to discontinue sending any new Rotary Peace Fellows to the Rotary Peace Centers program at Universidad del Salvador in Buenos Aires, Argentina, effective immediately. A search for a new Rotary Peace Center university is underway. * Agreed to allow Rotary clubs and districts not participating in the Future Vision pilot to utilize Matching Grants to fund low cost shelter projects, and to pilot this initiative throughout 2011-12 and 2012-13. * Concurred with the RI Board on a new partnership model and guidelines for working with other organizations. Noting a decrease in world reporting for humanitarian and Future Vision grants in the July 2011 analysis, the Trustees encouraged districts to improve their reporting percentages for future analyses. Regional training seminars for The Rotary Foundation Cadre of Technical Advisers will held at the 2012 (Bangkok) International Convention and before the 2013 (Lisbon) Convention. The Trustees authorized approval of grants where Rotaplast International serves as a cooperating organization, based on the agreement that grant funds are used in a manner that is consistent with The Rotary Foundation Code of Policies and the terms and conditions of TRF grants. The Trustees received the 2010-11 audited financial statements and report on The Rotary Foundation. The results will be published in the Foundation's annual report. Highlights of actions taken by the Rotary International Board of directors At It's September, 2011 meeting. The second meeting of the 2011–12 RI Board of Directors was held on 26–30 September 2011, in Evanston, Illinois, USA. At this meeting the Board reviewed 17 committee reports and recorded 120 decisions. • District 1840 is split into new District 1841 (Austria) and new District 1842 (Germany). • District 2040 is split into new District 2041 and District 2042, both in Italy. • District 2450 is split into new District 2451 (Egypt) and District 2452 (Armenia, Bahrain, Cyprus, Georgia, Jordan, Lebanon, Palestine, Sudan, and the United Arab Emirates). The Board endorsed a membership goal of 1.3 million Rotarians to be reached by 30 June 2015. To help reach this goal, regional teams of Rotary leaders will develop three-year regional development and retention plans. In an effort to increase the number of young professionals in RI membership, and to better transition Foundation alumni into Rotarians, the Board encouraged Rotary clubs to allow Foundation alumni to attend their sponsor club's meeting for six months without invitation following their term of service. The Board also adopted specific guidelines—called New Generations are the Future of Rotary—for club use to more effectively attract and engage young professionals. The Board added Rotary public image coordinators to the Governors-elect Training Seminar training team and further added the topic of public image to the training curriculum. • renewed its service partnership with the Dollywood Foundation. The Board agreed to establish annual and bi-annual RI Board performance goals in alignment with the RI Strategic Plan, and requested the general secretary to develop a mechanism to ensure annual strategic alignment between the RI president, president-elect, president-nominee, and the Board, for annual review at the Board's first meeting. The Board agreed that a "one Rotary" alumni approach is consistent with the RI Strategic Plan. A joint RI/TRF alumni function would recognize all Rotary program participants and allow a uniform gathering of information about alumni, while still differentiating the groups by program and status. 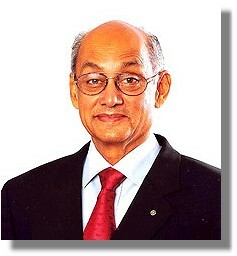 As of 10 August 2011, US$188,194,000 has been raised toward Rotary's US$200 Million Challenge. The Board discontinued RI recognition of multidistrict service activities and projects. Policy guidelines for groups involved in these types of activities and projects will remain; only now they will no longer have formal RI recognition. From its origins, Rotary has built a philosophy based upon integrity in businesses and professions. Rotary clubs and individual Rotarians are committed to Vocational Service and high ethical standards in all of their interactions. These are summed up in the Object of Rotary, our core values (Service, Fellowship, Diversity, Integrity, Leadership), The Four-Way Test, and the Rotary Code of Conduct, carried out through our worldwide network of Rotary clubs and Rotarians. For Rotary International, as a corporate entity, its social responsibility philosophy can be summed up by our commitment to transparency in governance, stewardship of financial resources and the environment, and fair labor practices. To ensure that districts can begin public outreach initiatives at the beginning of the 2012–13 Rotary year, the Board advanced its deadline for the 2012–13 Public Relations grant applications to 4 March 2012. Depending on local circumstances, the Board provided for Rotaract clubs to conduct meetings online. The Board recognized the Rotarian Jazz Fellowship, which aims to build new and lasting relationship between Rotarians around the world interested in jazz music. The Board accepted the proposal from Districts 1960 and 1970 (Portugal) to host the RI convention in Lisbon, Portugal on 23–26 June 2013, and tentatively selected Toronto, Ontario, Canada as the site for the 2018 RI convention. The Board accepted the audited statements and report on RI's financial results for 2010–11. The results will be published in the annual report.